Director James Wan has taken to Twitter to share two new high-res images from his upcoming Aquaman movie. 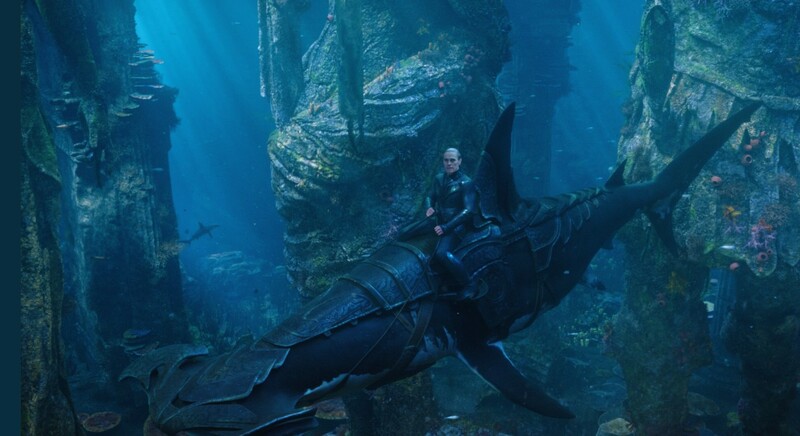 The first image features a look at Willem Dafoe as Vulko riding a hammerhead shark, with the second image featuring Patrick Wilson's Orm with his trident in hand on top a sea creature called a Tylosaur. 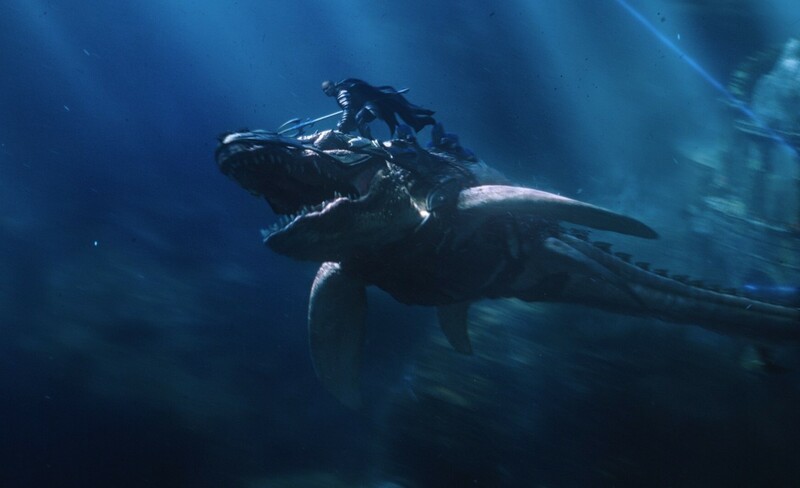 "Vulko and King Orm on their steeds #hammerhead #tylosaur #sealife #underwaterkingdom #Aquaman #highres," James Wan posted.